A Chinese satellite has managed to capture a stunning image of a complete Moon and Earth next to each other. 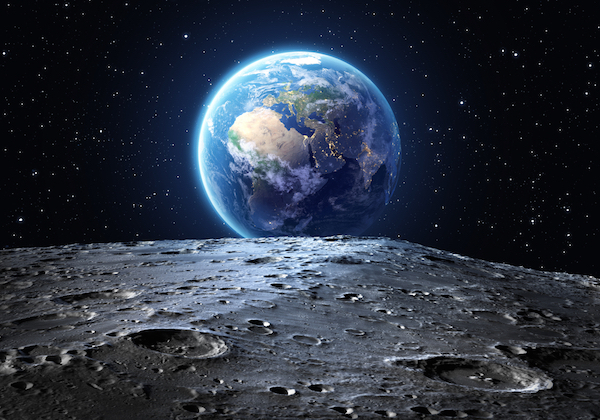 The photo shows the distant side of the Moon that isn’t facing the Earth, which is called the “dark side.” Earth is seen in the background, looking tiny compared to the Moon. The image was taken by China’s ‘Longjiang-2’, which is currently in the Lunar orbit. The ‘Longjiang-2’ satellite arrived at its destination in June 2018, together with satellite ‘Longjiang-1’ that helps engineers communicate with the ‘Chang’e-4’ lander, which has been exploring the far side of the Moon. The photo is part of a series of timelapse images. The first photo was downloaded to the Dwingeloo telescope located in Netherlands on 4 February after it was taken a day earlier. China has unfortunately lost contact with ‘Longjiang-1’; ‘Longjiang-2’ is currently tasked with taking pictures and sending these back to Earth.